Several events scheduled for 2014–15 may make a significant difference to life in Europe and around the world. In September 2014, Scotland votes on independence from the United Kingdom. An affirmative decision to separate would have a considerable impact on both parties’ economic standing. While the UK would drop from sixth- to seventh-largest economy in the world, Forbes magazine suggests that Scotland could become “the new Slovakia (population 5.4 million, average income $24,000).” And though the UK is a member of the European Union, an independent Scotland (unlike Slovakia) would not be part of it—at least, not right away. It is likely that the admission process would take years, in part because she wants to opt out of the Euro and retain the pound sterling. Then there is the question of Britain’s nuclear submarine fleet harbored in Scotland. An independent nation may well refuse to continue the arrangement, with an associated loss of jobs and income. The difficulty for the UK is that it would take years to build a facility elsewhere. The future of Scotland is not the only reason for concern in the UK. If the Conservatives win the May 2015 general election outright, there will be a yes/no referendum on staying in the EU. 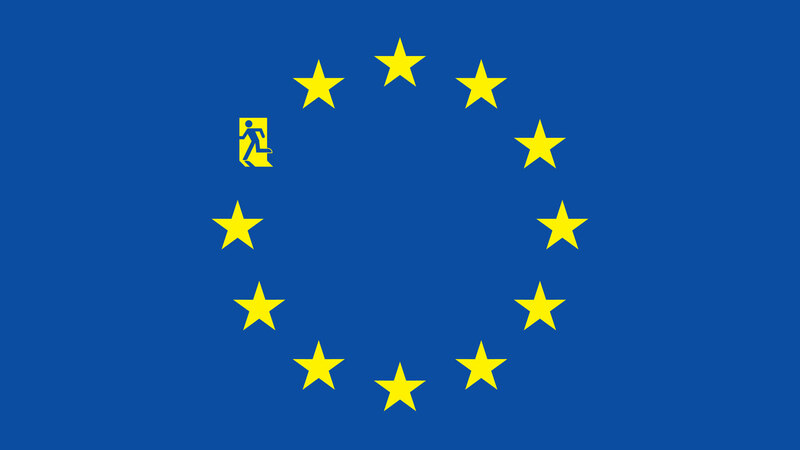 European Parliament elections in May 2014 witnessed the success of anti-Brussels Euroskeptic contenders, and the emergence of the anti-EU United Kingdom Independence Party (UKIP) suggests that many UK voters would support exiting the EU. As one of the largest EU economies, Britain would represent a significant loss to European finances and would itself lose many EU-based benefits. But would a non-EU Britain necessarily fail if, as has been suggested, she expanded trade agreements with the nations of Brazil, Russia, India and China (BRIC)? “Every forecast of the future availability of food resources for humans would seem to show that achieving these fundamental objectives is threatened by human behavior and attitudes." On another front, the 2015 World Expo takes place in Milan from May to October. Its theme, “Feeding the Planet, Energy for Life,” highlights the ongoing issues of food security and sustainability: For every malnourished person in the world (868 million), there are two who are obese or overweight (1.5 billion); 36 million die each year from lack of food and 29 million from too much food. Further, about a third of all food produced is wasted (1.3 billion tons), and over a third of all grain production is earmarked for animal fodder and biofuels. As has been said, we are feeding animals and cars, not the people who need food. The imbalance between what we put back into the earth and what we take out means that currently we need one and a half planet Earths to sustain ourselves. By 2050, at present levels we will need three Earths to continue. The purpose of the Milan Expo is to alert us to these facts and to issue a protocol, an international agreement by which nations can begin to reverse these trends. Two hundred years ago, in June 1815, Europe saw a major realignment when Napoleon Bonaparte was defeated at Waterloo. It was the end for a man who had launched what some believe to have been the real first world war. Today’s global threats are much greater in their long-term potential than any damage Napoleon could have done. Even present-day European concerns (Scotland, the UK, the EU) pale into insignificance against the backdrop of the critical issues of global food production and nutrition. At Vision, we support individual and collective efforts to get back to and to live within the limits imposed by the biosphere, to care for the earth and preserve its diversity—“to tend and keep it” (Genesis 2:15). That said, underlying these commitments, we recognize that there must be alignment with the profound moral code that also says, “Man shall not live by bread alone, but by every word that proceeds from the mouth of God” (Matthew 4:4).